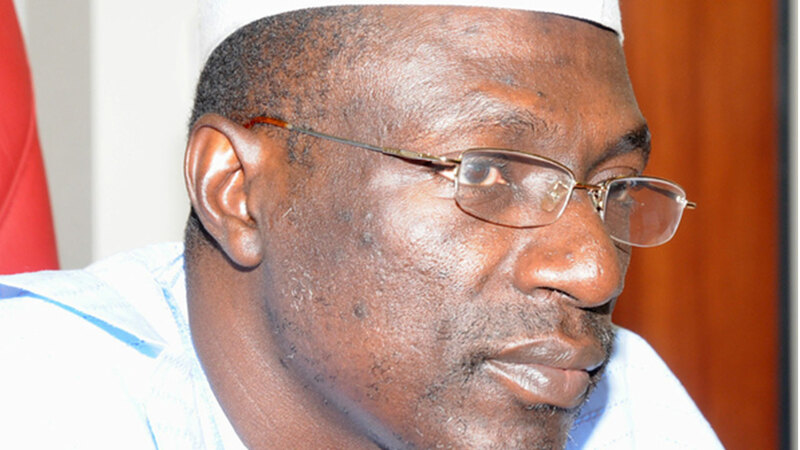 Chairman of the Peoples Democratic Party (PDP) Caretaker Committee, Senator Ahmed Mohammed Makarfi spoke to SAXONE AKHAINE on the crisis rocking the party and his expectations for an early resolution. What is your take on the Port Harcourt court judgment and crisis plaguing the party? Well, I am happy because it was a positive judgment, in the sense that it gives validity to the convention of our party and all the decisions taken at the convention. One of the decisions was the removal of all national officers, setting up of a caretaker committee, and zoning of the presidency of the party to the north. Of course, there were also other subsidiary decisions. For me, the legal seal of approval by the court that the convention was properly convened and that its decisions are binding gladden my heart. But, at the same time, as a party man, I believe in the party’s unity. And it is also a bit sad that we have to go through this process. I would have been happier if we didn’t have to go through these legal processes in order to settle party issues. Generally, I think it is good for democracy; it is good for the PDP. What will be the effect of the judgment on the party’s unity, having in mind that the PDP has to prepare for future political challenges and elections? 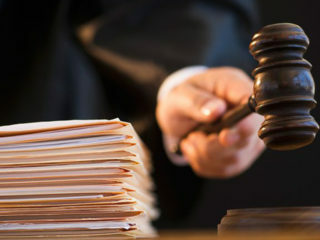 For me, any matter that goes to court, the decision must be respected. The implication of the judgment is such that irrespective of when you were elected or appointed, the convention can remove you. If that is the case, let us take today’s judgment as sacred. But, again, let us not take it as if somebody has won or lost. Let us use this opportunity to still come together, heal the grievances, and see how we can adopt a give and take approach, and set up a programme that will lead us to the next convention that will be all inclusive. Let us be just, fair and equitable to all groups. It is not just the Ali Modu Sherriff group; we have the Concerned Stakeholders Forum…to join the caretaker committee. They must never be backbenchers. Let us use this opportunity to come together. I am prepared anytime, any day, and the committee is prepared. 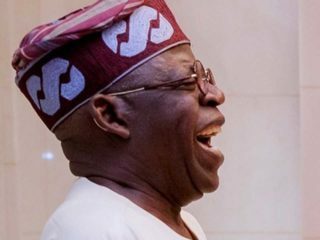 And I am also sure that other party leaders are prepared to make peace with Ali Modu Sherriff and his group and accommodate all the splinter groups in the PDP. It has been observed that despite the court cases, the Ali Modu Sherriff group has not been disposed to the unity campaign your committee has been preaching. What extra miles are you going, to bring the party together? Not just me, but elders of the party who publicly declared that they have stopped partisan politics and as such intervened. We are not the problem. We are prepared to make peace and accommodate, and they have been talking to Ali Modu Sherriff and his group, to take the path of peace. And I believe they will continue to talk to them. The good thing is: we are not fighting against them. And irrespective of the court pronouncement, we are not against peace making. So, this is a golden opportunity for them to listen to what the elders in the party are saying, the youths and women that have been clamouring for peace within the party. Let us not turn deaf ears to what people are saying. When there is a chorus, ‘make peace, make peace’, let us not turn deaf ears. In all sincerity, do you think the judgment can bring Ali Modu Sherriff to order? Well, it is really for him and his supporters to sit down and reflect on the need for stability in our party. I don’t want to look at the destruction we went through due to their actions. I want to focus my attention on how we move forward. And in my opinion, that is why I am saying that there is still need to embrace each other; we must support each other, one way or the other. But, let us look forward for brighter days ahead. I don’t want us to dwell on what we may have said to hurt one another in the past. Every day, we ask God for forgiveness whenever we pray. Even if we don’t engage in formal prayers, we still ask God for forgiveness when we do something wrong. So, in this case, let us, as men, if we really have faith, eschew bitterness and really come together. The governorship primaries conducted by your committee in Edo State was a test case for the unity of the party. 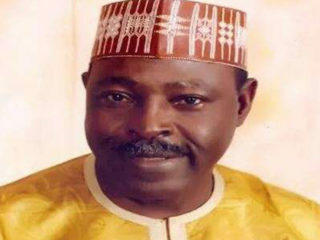 Ali Modu Sherriff’s group has gone ahead to conduct its own primaries. What is your view on this? The respected judge of the Federal High Court in Abuja that gave an interlocutory order said that INEC should receive only nomination from Ali Modu Sherriff and not the caretaker committee. This was a temporary order and not a judgment. The judgment has not been heard. I don’t want to go into the details of that matter. But, be that as it may, at the time that order was given, there was still an existing valid order from a court of similar jurisdiction, saying that INEC should take nomination only from the caretaker committee of the party. So, the two orders conflict each other. INEC in its wisdom would look at the matter and the issues from the perspective of who actually has complied with the electoral regulation. One, we are the only one that complied with the electoral regulation. We gave the 21-day notice to INEC. They covered our primaries election in Edo State. The Ali Modu Sherriff group did not give the 21-day notice. INEC did not cover the primaries. And so, even the respectable judge ought to have taken all these into account, that is compliance with the electoral laws, before giving any order. But the order has been given, which contravenes a law. That will not be good for the image of the judiciary. Having said that, a ruling has come out in Port Harcourt and that ruling, in my opinion, except the Court of Appeal feels otherwise, would be a subsisting ruling that all institutions of government would have to make use of, including INEC. So, the question of which name INEC should take should not be in doubt; it should be that name that we will submit, because it is the name that came out from the primary covered by INEC, from a primary conducted within the provisions of the electoral laws. Even, in Edo, I urged them to come together, irrespective of what other people have done. Let us not try to think of punitive measures. I think we should all come together, at state and national levels, so that we can cement the fractures that occurred in recent days. Some of your party leaders think with the level of insubordination by Sherriff, he should be expelled from the party. We should not think in that perspective. You know, since I started talking in this interview, I have always been saying that this is a window of opportunity to embrace each other. This window is still open. Of course, I can only speak for myself. But the majority of party men and women may not want to see the window opened for too long. So, it is an opportunity to use the next few days to make approaches to each other, so that we can make progress. After the court judgment, what is the party’s next plan for its convention? Even before the judgment, we had been making plans for our convention. I don’t think it will be right to start giving full details of our plans. Before today, we have not been sitting idle; we have been consulting and gathering a lot of data and input from different stakeholders. And of course, we would move faster, knowing that time is limited. What is your party doing to checkmate all the contrary actions by individuals and groups against the PDP, so that its electoral fortune is not dimmed in the future? First of all, whatever we do, we must ensure that we comply with the provisions of our party’s constitution. Two, there must be a wide range of consultations with all interest groups before major decisions are taken, so that such decisions can be with strong foundation of acceptability. You cannot get everybody 100 per cent. But, with overwhelming majority of party men and women, this is what we need, in order to avoid the kind of situation we find ourselves today.